Tools for ON-Vehicle Network | PRISM Corp. 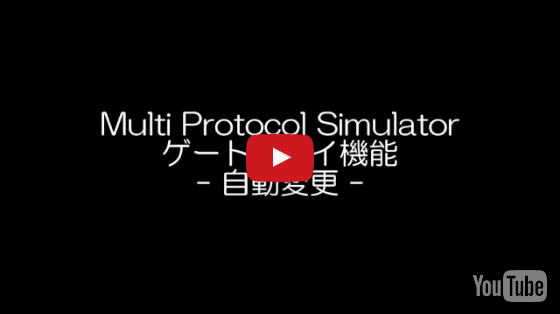 It is possible to create simulation environment with simple operation. 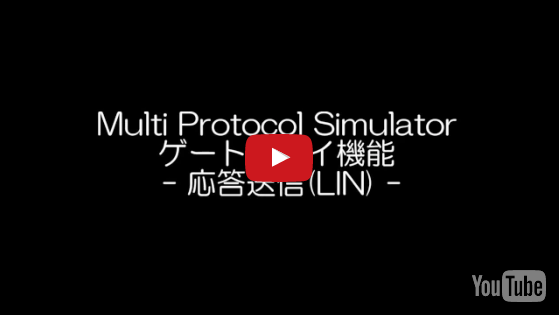 Multi function simulator for MLT PX-10. 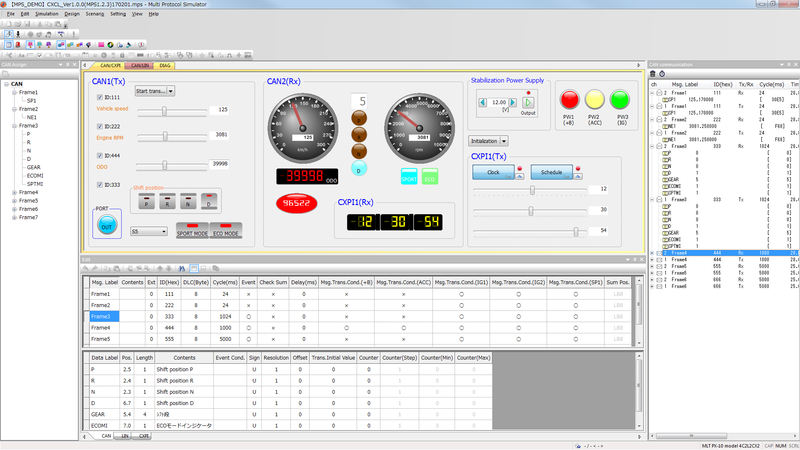 Not only standalone operation but also simulate while logging of bus data in cooperation with MLT PX-10 Navigator. 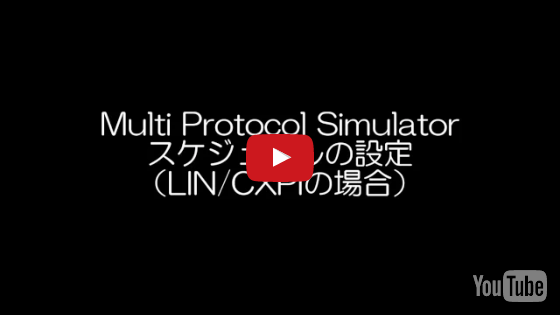 Corresponding to the CXPI conformance test. Using easy operability GUI by ActiveX control, and prepare many controls of Button, LED, Data Counter, Switch, Digital control and so on. Operation and display in conjunction with the bit assign data is possible. Equipped with BitAssign data editing function. Saving only BitAssign data to file and reading. 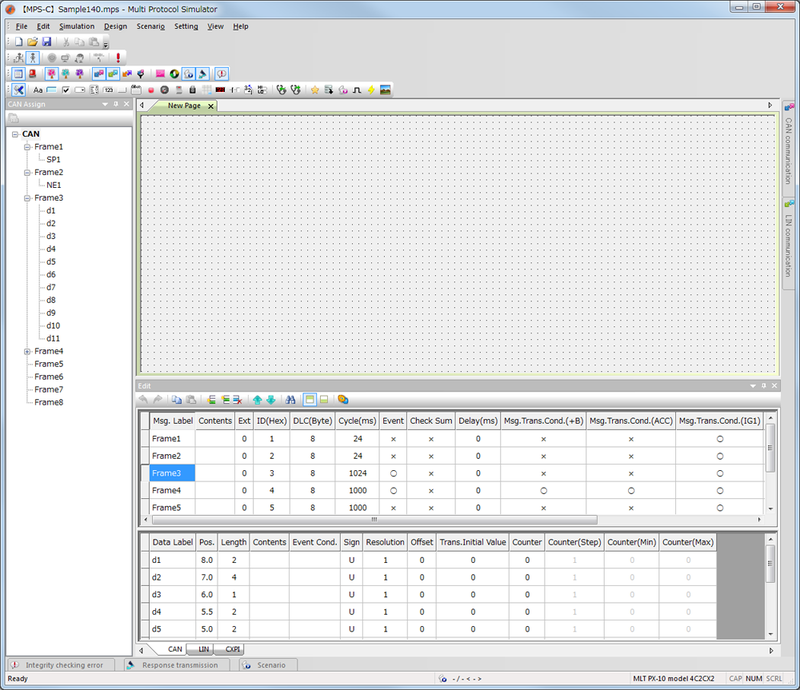 By associating frame names and data names, it is possible to construct a simulation environment that is easy to analyze. 20 types of schedule table can be set (valid in master mode). Msg.Label and ID refer to the frame information defined to BitAssign data. Displaying frame names and data names of defined BitAssign in tree view. Easy setting which just dragging the data name to use and dropping it on the control you want to set. 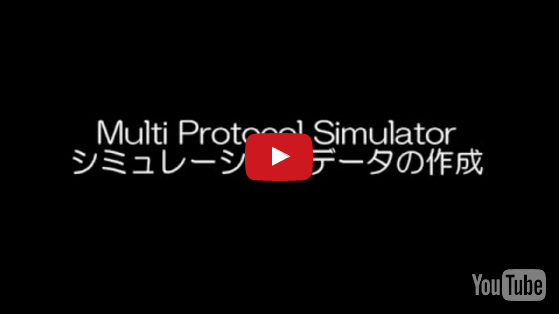 Perform integrity checking before simulation is performed. 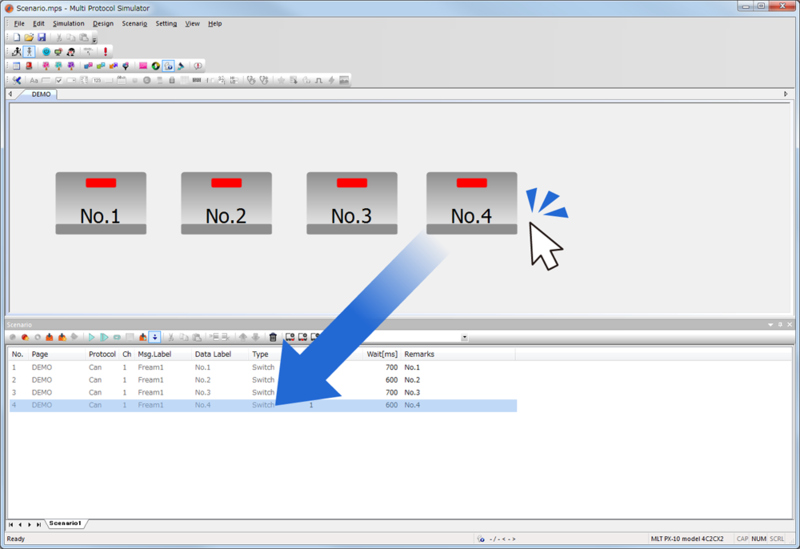 The execution timing are two ways when the integrity checking button is pressed down and when the simulation start button is pressed. Result of integrity checking display error contents and information on the corresponding control. Up to 10 set of received data can be displayed. The display setting is simple operation just by dragging and dropping from the BitAssign data screen to the graph display screen. During communication, all transmitted and received data on the bus is displayed for each protocol. If data not set in the control is also registered in the BitAssign, the transmission / reception value is displayed. 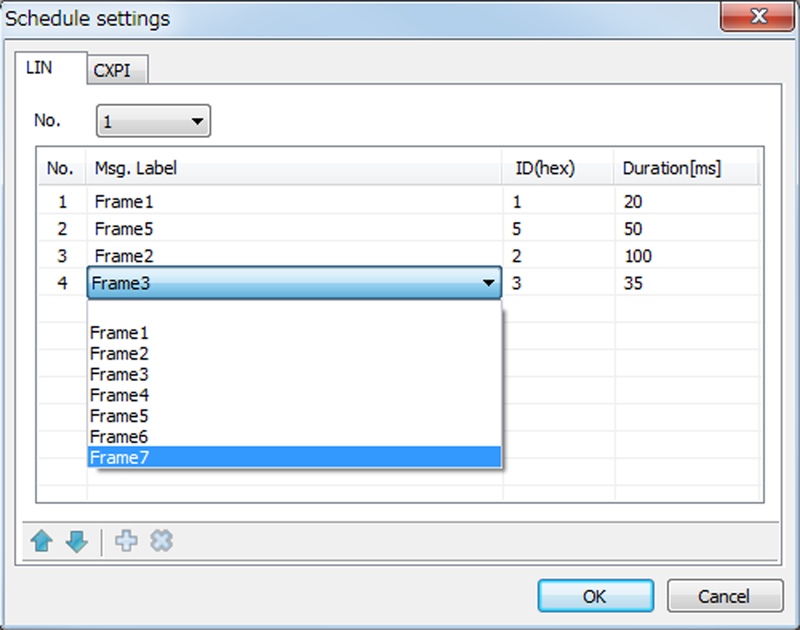 The maximum, minimum and average values of the transmission / reception interval of each frame are displayed. Physical values and raw values considering “Resolution”, “Offset”, “Sign” of bit assign data are displayed. Displaying transmission / reception data which specified channel and frame ID. 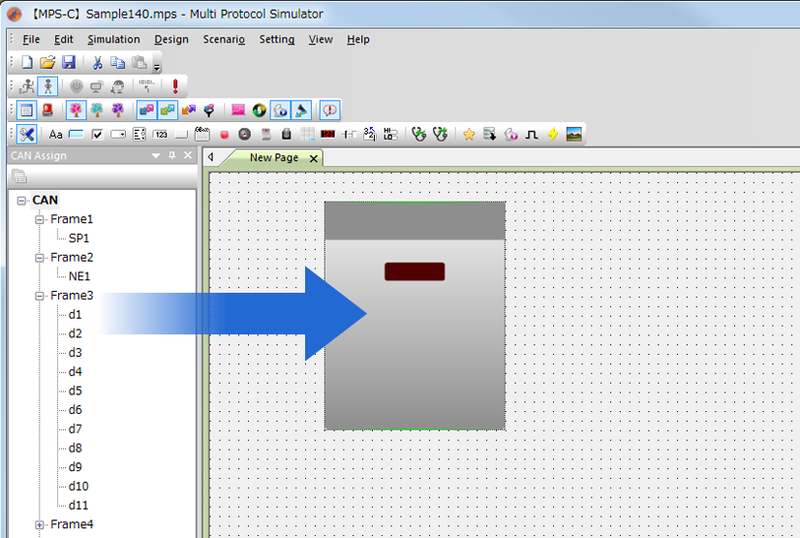 File saving in the CSV format is possible. 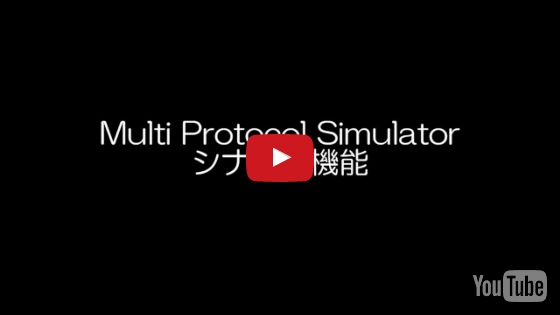 This function enables to memorize manual operations in order and replay them. Number of executions: 1 to 65535 times or unlimited setting are possible. 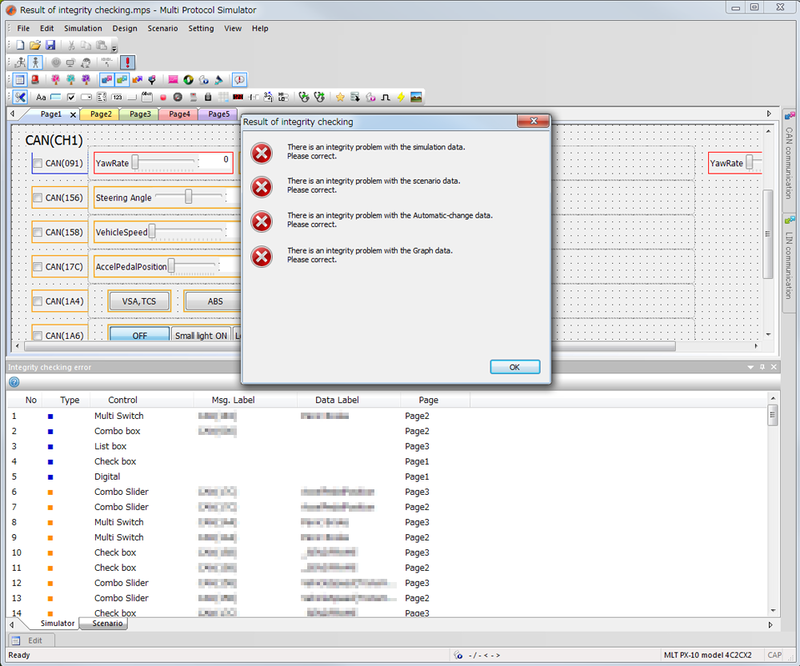 By combining multiple scenario data, complicated inspection patterns can be easily created. High quality inspection is realized without depending on operator skills. 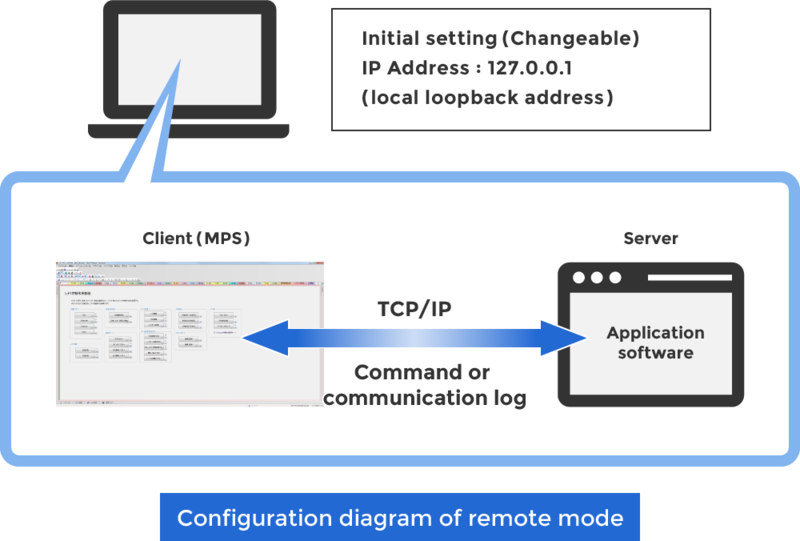 Connect MPS and the server application via TCP / IP, and execute the specified scenario from the server application. Automatic inspection can be realized by acquiring communication log data. * Customer should prepare the server application. Please contact us when you can not prepare. Automatically change the transmission value of the control when a specific value is received. It is possible to change the transmission value of more than one control for one reception condition. It is also possible to change the transmission value by calculation. Automatically send a specified frame every time a specified data or a frame of a specified pattern are received. Since processing is executed by hardware, it can respond within 1ms. *2 It is necessary to set the control name in a target control. Support both single-frame and multi-frame, and the transmission data can be set not only on the control but also in an external files (text format and binary format). 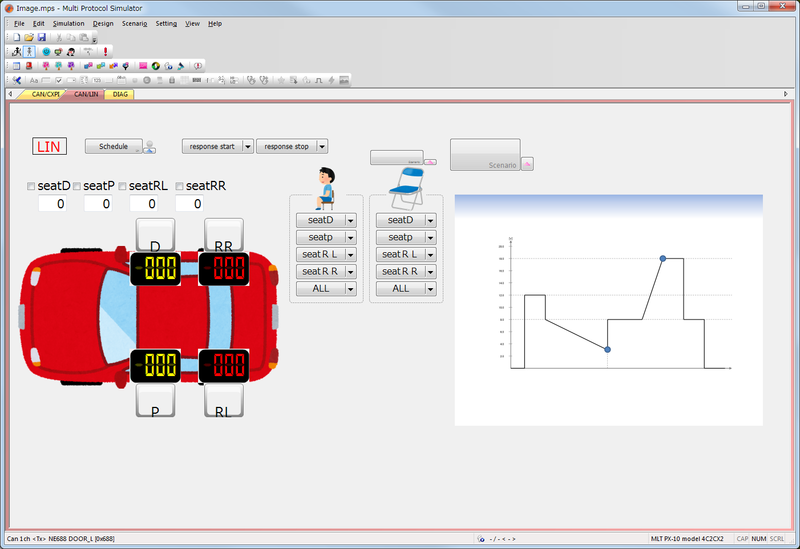 By using it with the scenario function, it is possible to automate inspection including diagnosis. Support voltage value control of DC stabilized power supply. A output voltage value, a constant current (CC) and a voltage changing step value can be set. By using it with the scenario function, it is possible to automate inspection including the power supply fluctuation. * Please check the product catalog for corresponding model of stabilization power supply. Inserting images, tables and descriptions can be easily added. Supported format are PNG / BMP / JPEG / GIF. By adding figures, descriptions, tables, etc., it is possible to summarize operating procedures, commentary, etc. on the MPS page. A resolution of 1366×768 or higher are recommended. Introduce how to use the product. Please watch in. Product customization is possible. Please inquire in detail. © PRISM Corp. All Rights Reserved.